• Both a color version and black/white version are required. • Source File Requirements: All original vector source files of the submitted design. Files should be created in Adobe Illustrator or Inkscape and saved as layered AI or EPS files. Note that PSDs saved as EPS files are not true vector / scalable files and will not be accepted. • All fonts (and operating systems) must be listed in a text file within your Submission Zip file. Include the name of the font and a link to where it can be downloaded/purchased. DO NOT include any font files in your submission or source files. • All text in the graphic should be converted to outlines. • Submission should also include 1024 x1024 version of the graphic in jpeg or png (on both a black background and a white background). 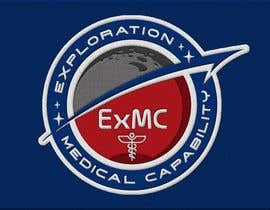 • The NASA insignia or other NASA logos cannot be used as any part of the submission. • Color pallet is open, but limited to 6 colors. Please do not create a graphic that uses only the red, white and blue colors, as located on the NASA insignia. • Please avoid gradients or other special effects as they are difficult to reproduce across all media. • Stock photography is not allowed in this contest. All submitted elements must be designed solely by you. • Requirements: Does your submission meet the requirements as stated within the challenge? • Quality: Does your submission look fresh, professional, and clean? 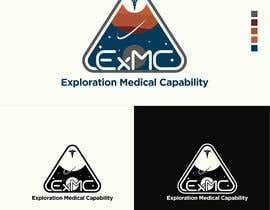 • Concept: Does your submission represent what Exploration Medical Capability stands for? Please note that NASA employees/contractors are not eligible for competing in this contest. Please join us in congratulating Nasima A., Alejandro D., Jose A. and Mohammad S. as the winners for this contest. There were some really great designs and the evaluation was not easy. Thanks to all of the participants for all of your hard work on this - we really appreciate your efforts! You welcome, congrats to all the winners. Hello, how type design are you liking, & what is the lac ? Help me by explain please . Have a good life to you all. sir please check my entry #513 . I hope that this version is better! #490 thank you. Entry #447 is my latest creations. I would love some feedback. Hi can you please give me feedback on the reason on why are entries are being rejected. That will be much appreciated as will know what is required of me. Thanks. hello sir please check my entry,please tell me if more change.i think at now people might be read the letter X..thank you Sir. Hello, please check entry number #359, Thank you! cheak it please. # 328, #301. Hi, posted my entry (#283) and noticed that the entry form does not allow for zip-files to be attached. Therefor I was only able to include the preview PNG images. Am I doing something wrong or is this a common problem? Hi, will you be reviewing more entries before the competition ends? Would be great to have some individual feedback as we can't see what you're looking for in other people's entries. Hi all, thank you for your entries. 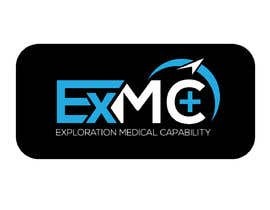 A common theme we are seeing is that logos include ExMC in them, but do not incorporate elements of medicine or medical care, which are core to our mission. Please include these in your designs. 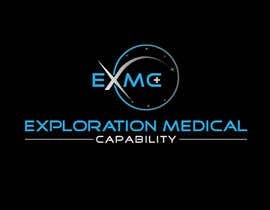 Also, please eliminate the word "the" from in front of "Exploration Medical Capability." Thanks! Hi, Can you please check entry #124. Also your suggestion on design would be helpful for leading the created graphic in right direction. Hi, also please review my new entry #207. Suggestion would be helpful for design enhancement. 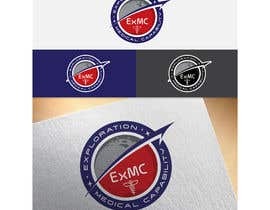 should we use the logo of ExMC? 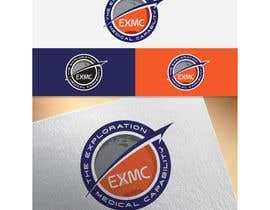 Yes, we'd be interested in seeing re-designs of the ExMC logo and a graphic background. Request to review Entry #163....Thanks.